Französisch-Perl takes its lightness and charm from the end of the Rococo period. 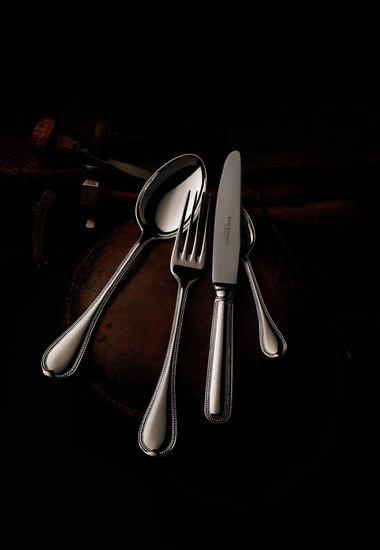 However, the clear shape of the silver cutlery shows the influence of the early French Classicism. The striking, sculptured beading displays top artisan silversmith artwork. The revered Paris silversmiths of the 18th century could not have manufactured this elegant pattern more finely.